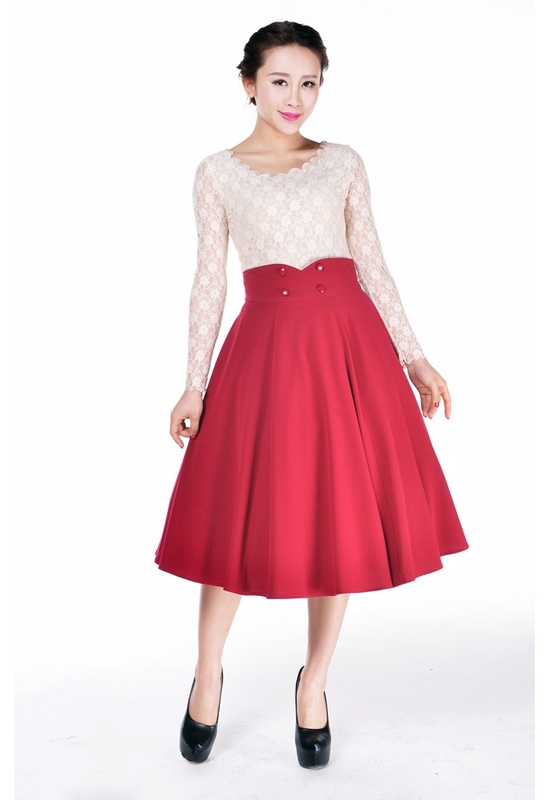 This Rockabilly Swing Skirt features with a high curved and buttoned waistband. There are four decorative buttons in front and two functional buttons in back of the waistband. Center back zip. The petticoat is not included.